Walt and Mickey. . HD Wallpaper and background images in the Disney club tagged: disney. 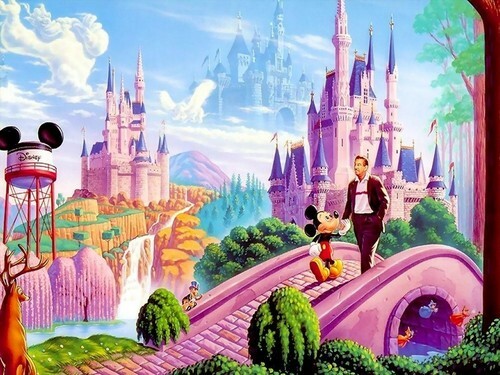 This Disney wallpaper might contain brunnen. I love this picture, the man and hs mouse! Great! I should love have this walk with them !